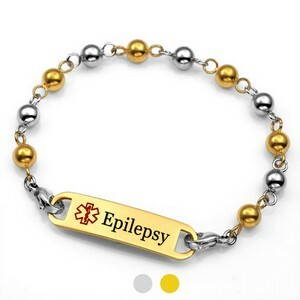 This alternating gold plated and steel bracelet has an Epilepsy plaque, which comes in stainless or gold plated varieties. Each bracelet fits 6 - 6 1/2 inch wrists. 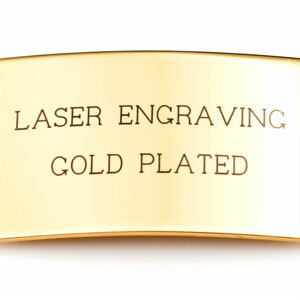 Please use a soft cloth without chemicals to clean gold plated jewelry. Polishing cloths [available from StickyJ] contain chemicals that may penetrate the surface and remove gold plating.